I picked this book up on a whim at the library. That’s actually how I come across most books in my life! This book could not have entered my life at a better time. 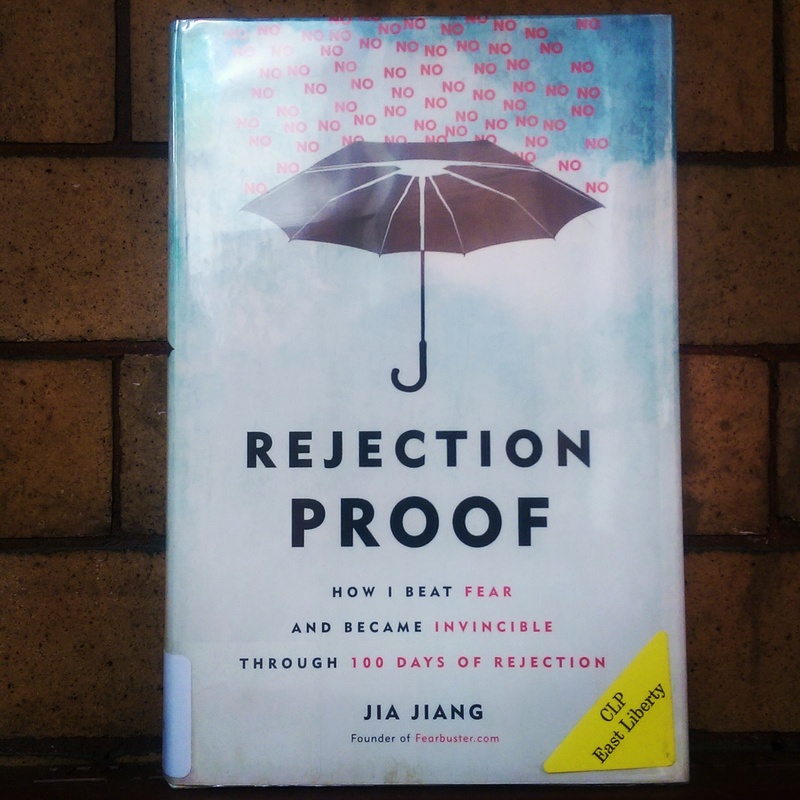 Jia Jiang, on a mission to rejection-proof himself, set out on 100 days of rejection, purposely trying to get rejected. Sounds a little bit like a few nightmares I’ve had… He bravely filmed these encounters, and posted them to his blog Fearbuster.com. I thought the premise was a little cheesy at first, but I was relieved when he started to not only explain why his rejection attempts were successful or not, but talked about the psychology of rejection and why it hurts so much. Best of all, he teaches you how to fully rejection-proof yourself if you’re willing to get a little uncomfortable. The better way to look at rejection is to realize that it is personal, but it says more about the other person than it says about you; it should not be used to gauge truths about yourself or your merit; and eventually, the nos will becomes yeses if you try enough times with enough different people. His rejection toolbox is the most valuable thing I’ve come across in a while. I want to hang it in my house so it’s always there to remind me. It’s really that good. So should you read it? YES. This book is funny, poignant, and best of all, it gives you the tools you need to stop letting fear of rejection rule your life and to put yourself out there, come hell or high water. There are way more gold nuggets of information in this book (aside from the paragraphs above) and I would highly recommend this book to anyone who has ever experienced fear before. So… Everyone. Hello and Welcome to J Seeks Joy!